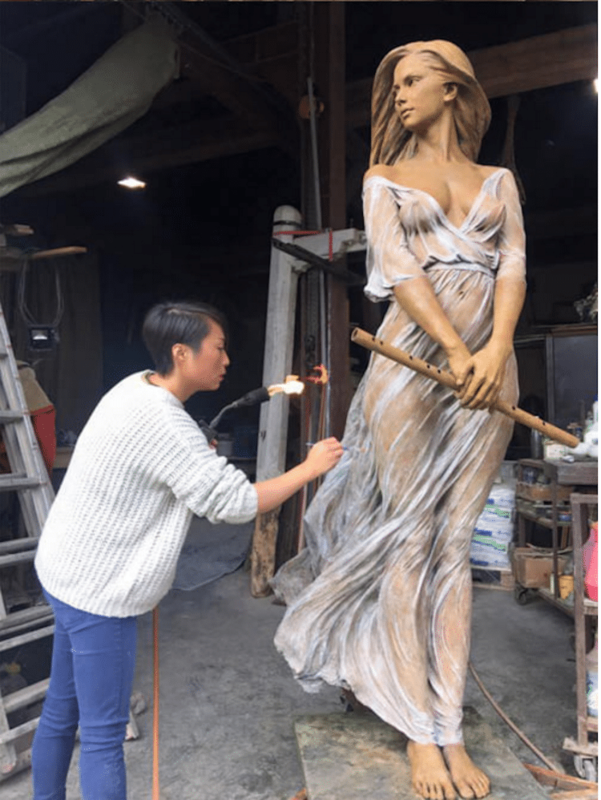 From the surreal to the sublime and every where in between, Chinese artist Luo Li Rong produces realistic sculptures that convey the beauty and grace of the human figure. 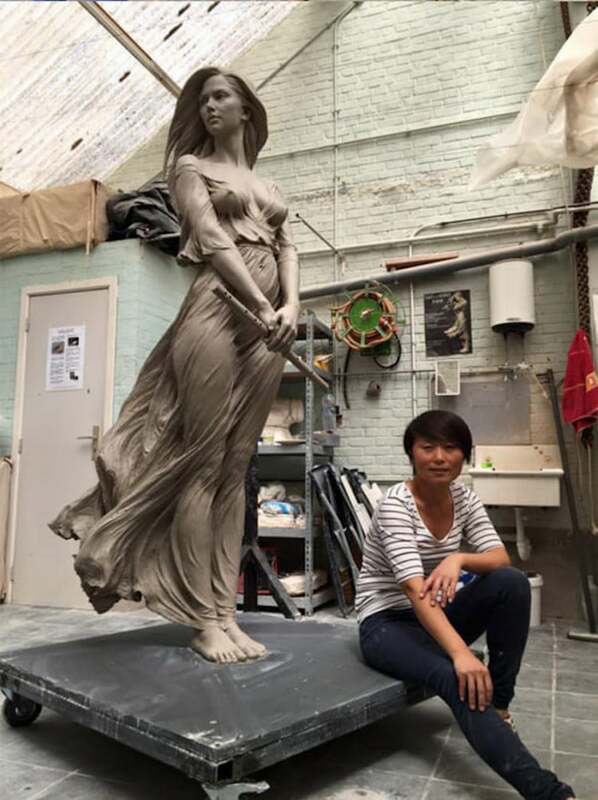 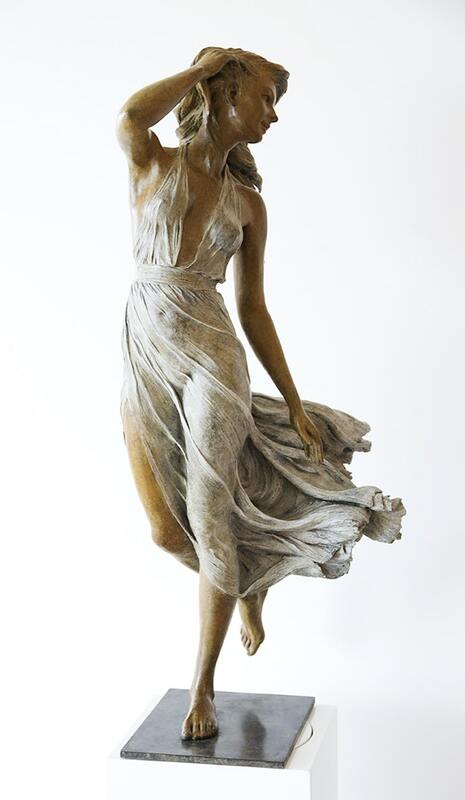 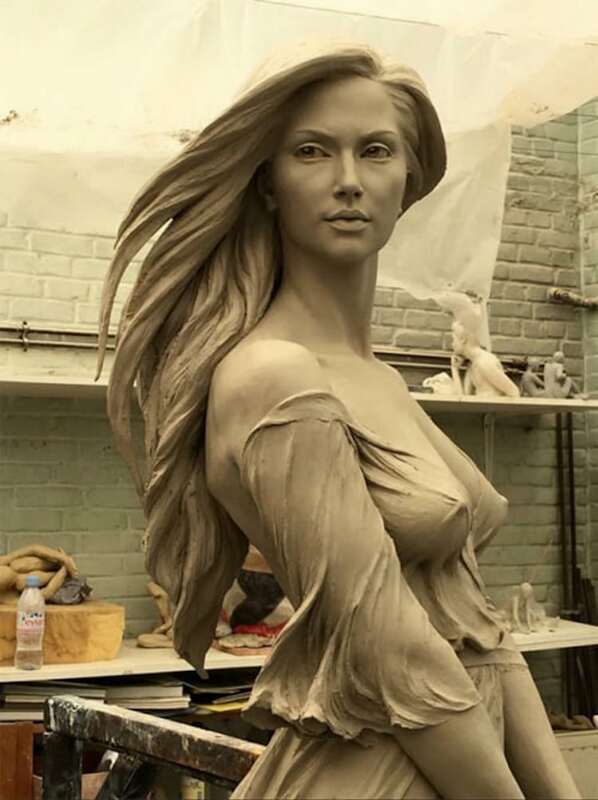 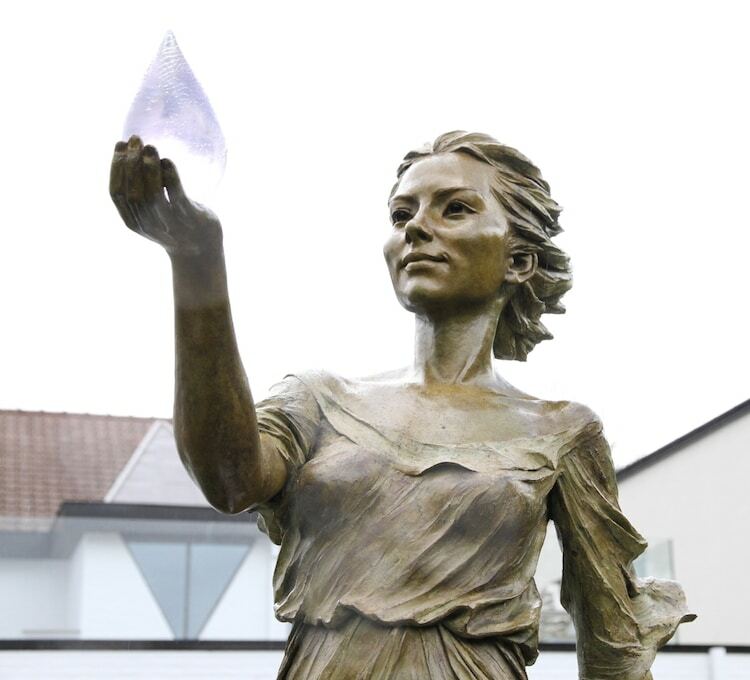 Working primarily in bronze, her life-size creations feature women in motion. 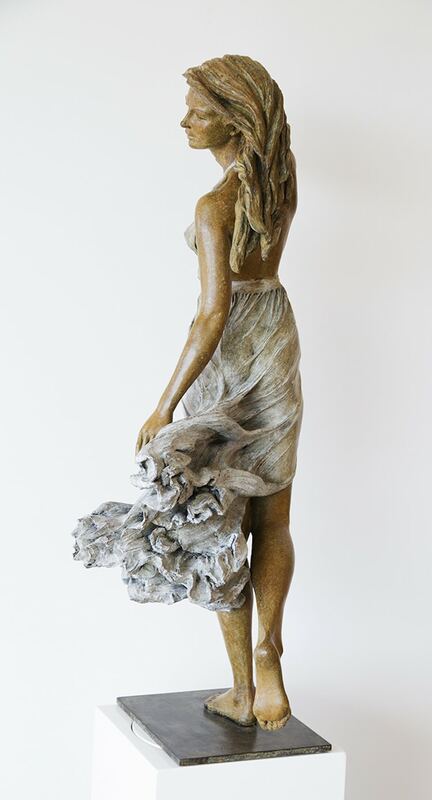 They strike elegant poses that elongate their bodies with a seemingly windswept appearance; their hair and clothing look as though they’re being moved by a gentle breeze. 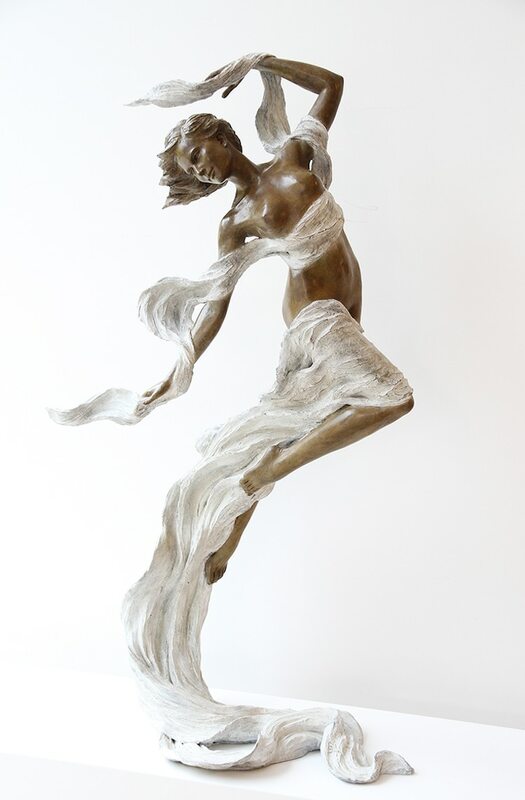 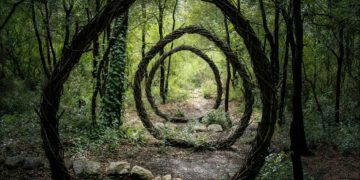 This creates a compelling dichotomy; while there is an impressive dedication to realism—Rong is careful to detail each delicate fold of the skin—there’s also a fantastical element to her work, as her characters reside on clouds and hold raindrops in their hands.